All men - citizens of the Russian Federation shall perform military duty in a military service in the Armed Forces of the country. In case of evasion of service, the man faces criminal liability. Military service - performance of a constitutional duty. According to the Federal law "About a conscription" conscription shall be citizens of the country aged 18 to 27 years old, permanently residing on its territory. Non-residents are not subject to appeal and not even included in the military records. From 1 January 2008, the service life was equal to one year. There is a possibility to carry alternative service. But its term exceeds 12 months and is equal to 18-21 months. This right is given only for special indications. Persons who have completed the military departments, become officers and credited to the reserve. When a young person turns 17, he should be required to undergo a medical examination. The Board of physicians is conducting a survey of men reveals disease pathology and makes a decision about whether he is fit for duty or not. If fit to serve, they will be issued a registration certificate. In 18 years the young person receives a summons from the recruiting office. Then he will undergo a second medical examination. Identifies possible reasons for the delay. Higher and secondary professional educational institutions provide a reprieve to the young man at the time of training, this rule does not apply to external students. If no reading is to serve in the Armed Forces of the Russian Federation, the guy reported date and time when he will need to appear before the draft Board with things. On the day of the call, the guy should come with everything you need in the district draft Board. All recruits are sent on a bus to a Central collection point. There is another medical Board. The army needs to get only healthy and strong young men. Further recruits are talking to representatives of military units, talk about the army routine, what you need to prepare and what they should not do. All issued ordinary form. Things you can't take it with you in part, are removed and sent by mail to your home address. If the ordinary, for whatever reason, has not received a distribution in the part, he spent some time living in the recruiting office. It happens that after a third of the medical Commission of the young man for medical reasons to be not fit for service, and he was sent back home. In 2014, the spring appeal begins April 1 and lasts 3 months until 15 July. And the fall, the call goes from October 1 to December 31. According to the Minister of defense Sergei Shoigu, the number of conscripts will be reduced significantly for tens of thousands of people. The armed army will be supplemented by contract. This will allow the military not go after those who want to avoid military service. And do not will be forced transoms boys due to the lack of mobilization reserve. Rules of military service are the same as for the fall call and spring. The organization of the event is made in accordance with article 26 of the Federal law "On military duty and military service". And articles 22 and 23 you can see who are fit for service and who is not. According to the already mentioned 26 article, the organization of the call, including the spring, can be arranged in a special way, i.e. consists of several stages. Citizens not residing in the reserve, must be a first for a medical examination, and then to the meeting of the draft Board. In addition, the call includes the attendance to the time and place specified in the summons, to send to the place of passage of future service. The entire call is available through the military commissariats and their structural units, and is already draft boards. They are created in the urban districts, municipal districts and intracity territories of cities of Federal significance. For all events that are associated with the call to service, a citizen is called a summons from the military Commissariat. The document is only a receipt. Presents the agenda employee of the Commissariat at the place of registration or citizen, or study (work). The summons always specify the possible legal consequences of its failure to set out their requirements. If a citizen did not appear at events related to military conscription, without good reason, he will be considered to be evading service in the army. For this he was prosecuted in accordance with the laws of the Russian Federation. Exempt from the call to service may be only those persons who are deemed partially fit or no fit state of health; those that pass or have already passed military service in Russia or any other state. They also include citizens that have passed alternative civil service. A full list of those who are entitled to exemption from conscription, it is possible to read in article 23. The recruit can also be granted a deferment if it is recognized temporarily unfit for military service (for up to a year for health reasons), occupied the constant care of his wife, anyone from parents, brothers, sisters, grandfathers or grandmothers. Moreover, there must be no other persons obliged to contain the data of citizens. The postponement applies in the case of guardianship or guardianship of minor sister/brother. If a citizen has a disabled child under the age of three years; two or more children; has child, but raising him without a mother, then he is also entitled to receive a deferral from service. The timing of the spring call-from 1 April to 15 July. 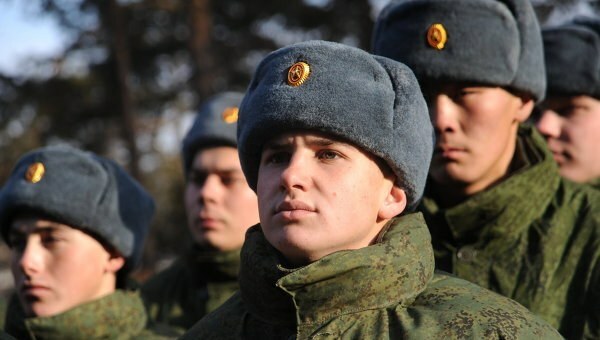 Draft campaign is the period of time during which young people of military age can be sent on military service in the Armed forces of the Russian Federation. What time is the summer campaign? The appeal in the Russian Federation is carried out twice a year: in spring-summer and autumn-winter seasons. The timing of each campaign established by Federal law No. 53-FZ of 28 March 1998 "On military duty and military service". The categories of citizens subject to military service, article 22 of the mentioned Federal law. He, in particular, specifies that recruiting activities can be implemented in relation to young people who are in the age from 18 to 27 years of age and are citizens of the Russian Federation. The prerequisite for their referral to the service is the absence of eligibility for a deferral or exemption from it. In turn, a complete list of grounds on which a young person may be eligible for a deferment or exemption from military service, given in articles 23 and 24 of the law "On military duty and military service". For example, the right to defer maybe to a young man studying at a higher education institution, having certain diseases or other causes referred to in these articles. The period of the conscription campaign in the spring-summer period set out in article 25 of this regulatory legal act. He identifies that young people can be directed to military service from 1 April to 15 July of each year. Thus before the beginning of each campaign, the President of the Russian Federation issued a special decree, which confirms the dates and sets the so-called "calls" - number of young people who should be called as part of the campaign. Similarly implemented the autumn-winter call-up campaign, which for most recruits is held in the period from 1 October to 31 December each year. 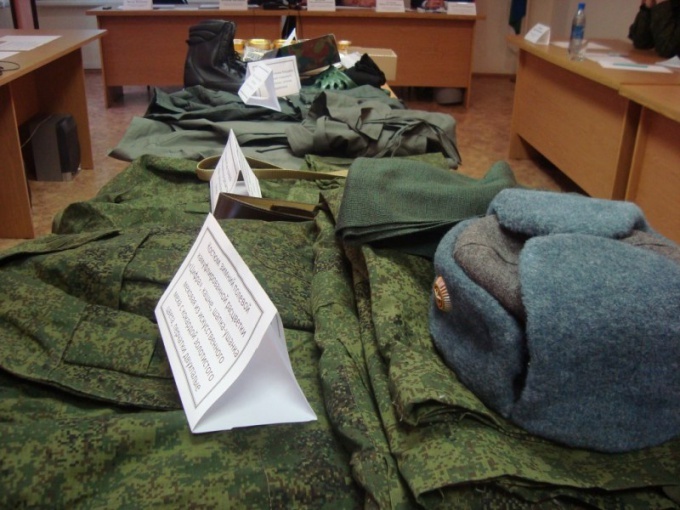 While the legislation identifies several specific categories of recruits that can be sent to the Armed forces of the Russian Federation only in certain periods of time. For example, teachers, who are current employees of educational institutions, are sent to serve only in the spring-summer draft, and not in General terms, and from 1 may to 15 July. In the same period is the spring call for residents of the far North and territories equal to them in status. The last category is entitled for a shorter period of holding recruiting events in the autumn: they can be called from 1 November to 31 December. But the villagers who are direct participants in planting and harvesting, may be taken into service in autumn and winter: 15 Oct to 31 Dec.